cityette - ABC Boston: remember the mbta? Good lord, this winter has been wintry! All the snow has wreaked havoc on our poor, old MBTA in Boston. We live in Quincy, and so there has been shuttle buses for what seems like forever and we're so (sadly) excited for restored service next week! Didn't really ever think we'd say that, but it's true! 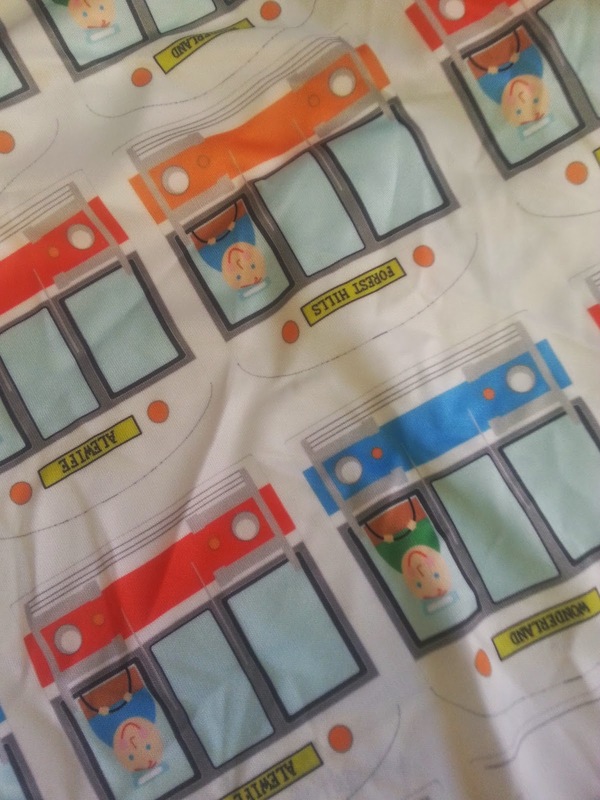 We had ordered this fabric via Spoonflower that we had designed a few months back, but have yet to use. Funny how looking at it now makes me feel different emotions from those I had when I first designed it... apologies for the wrinkled fabric photo - we honestly had stashed this in a drawer!